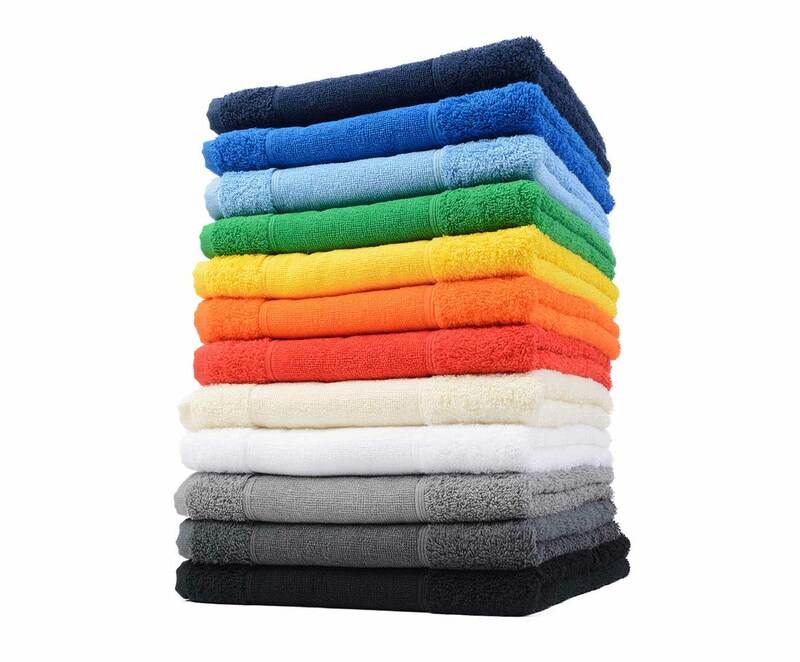 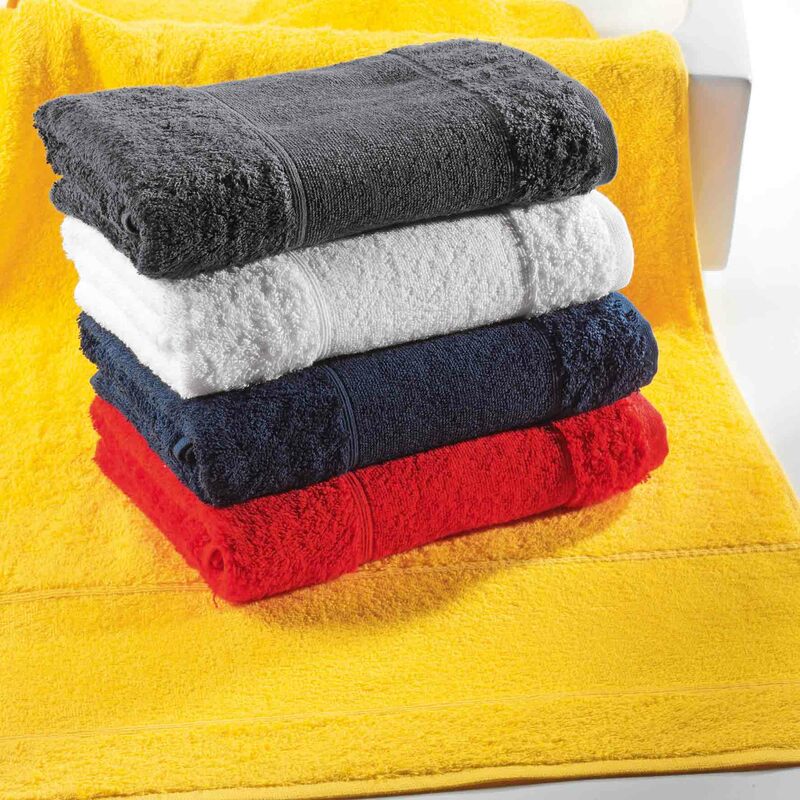 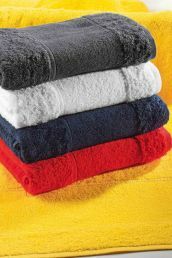 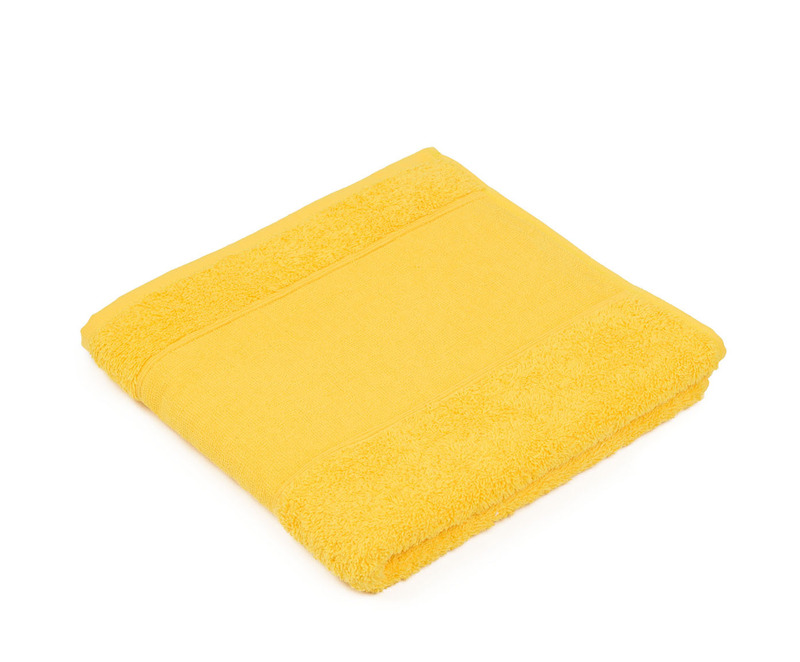 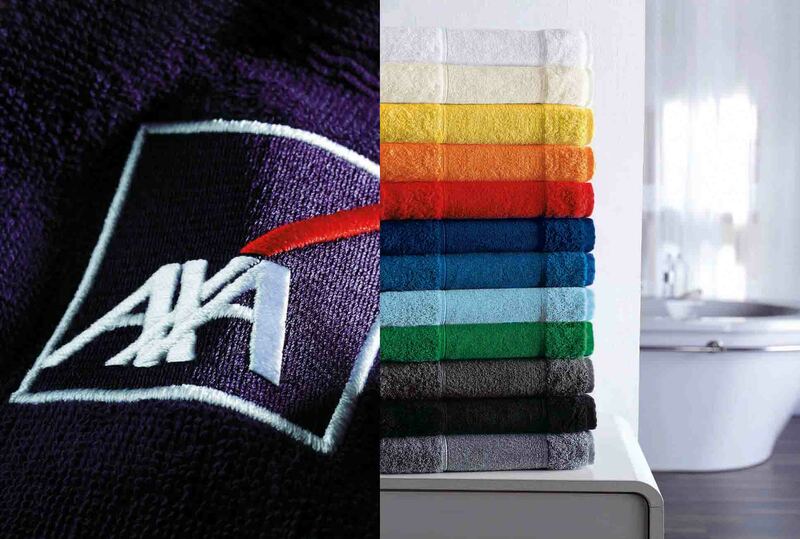 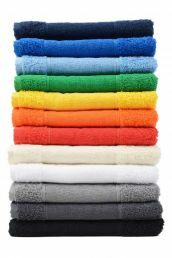 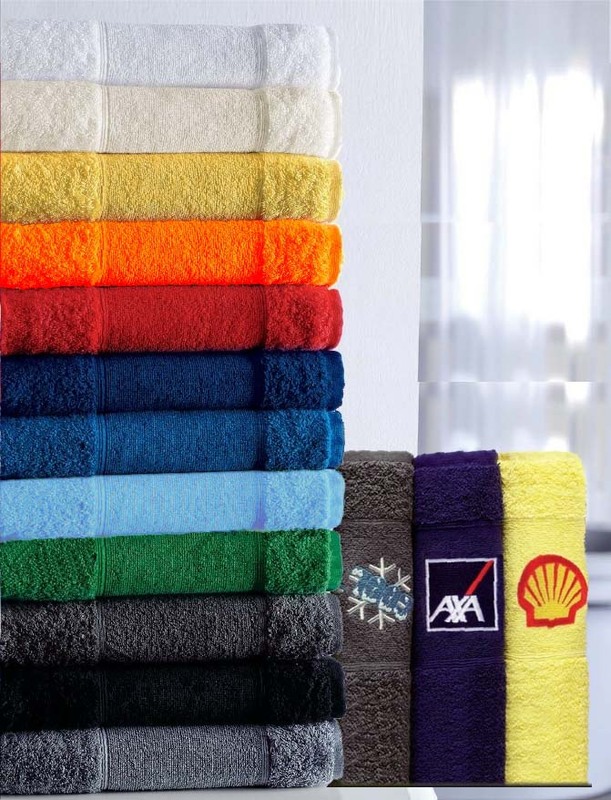 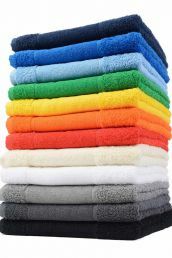 The “Porto”towel of high-quality cotton at 500 g/sqm has a special 12 cm wide, short-pile edging to perfectly present your advertising message. 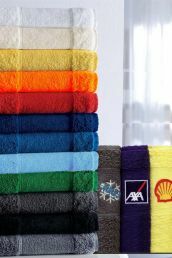 The motif is generated at our company, which makes us flexible in implementing it. 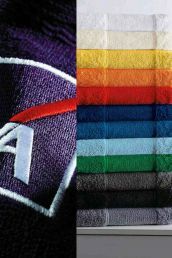 If you want to have your logo embroidered, we will professionally convert the data into embroidery data. 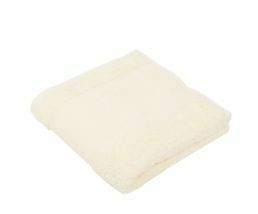 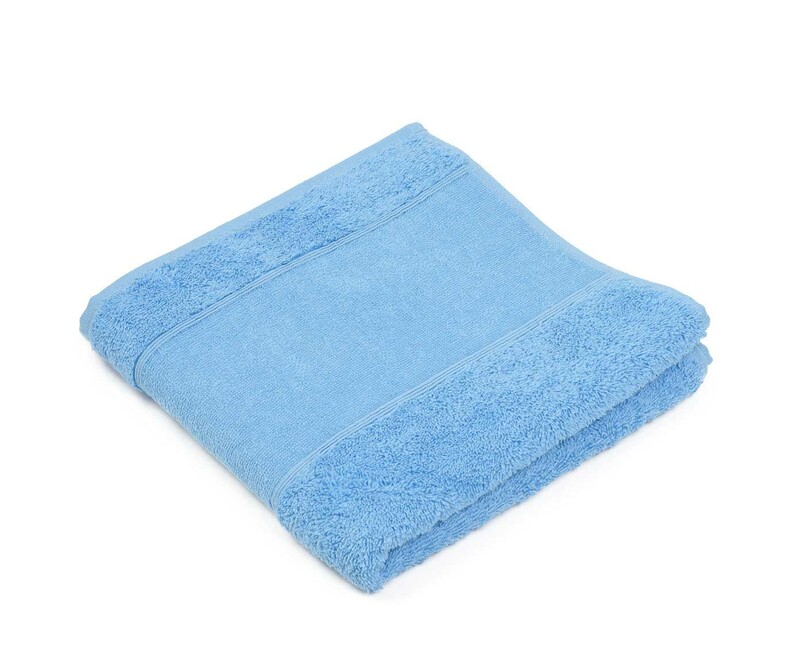 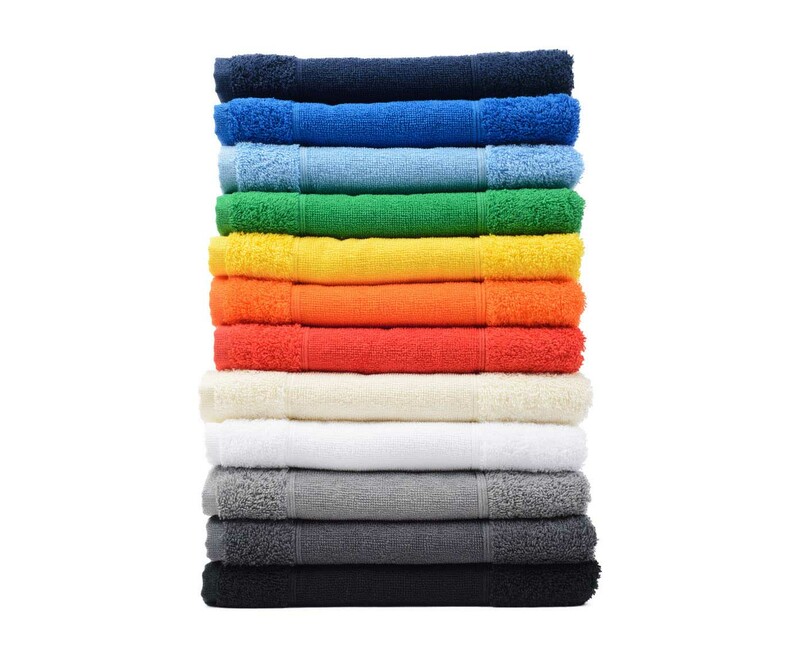 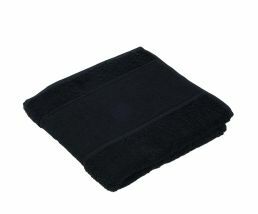 The terry towel is hemmed on 4 sides.